A version of this article first appeared in on Brand Packaging Magazine July 12, 2018. For consumer goods, retail and pharma companies, connecting packaging to the marketing supply chain is the only way to drive consistency between the product and its marketing, and it enables the responsiveness required to capitalize on relevant trends and satisfy consumer expectations. For example, packaging itself is often viewed in isolation, but it should unify the consumer experience. Packaging’s most powerful connection is between consumers and products. Whether online or in-store, shoppers engage with the shape, color, graphics and product information that comprise product packaging on their hunt for solutions to their everyday problems. Therefore, the more tightly connected the value chain is overall, the closer brand management becomes to the brand’s consumers. Interestingly, the technology used to create packaging also serves as a connecting function, with four intersections in particular that offer many benefits. But why should brands connect? If these connections are made and nurtured within the value chain, brands can offer consumers a consistent experience fueled by responsiveness, allowing them to flourish in today’s agile landscape. Connect digital marketing with physical product packaging so multiple touchpoints mirror one another and provide brand consistency online and in-store. Consumers’ expectations are set at the speed of digital: They don’t understand the difference in the lead times of banner ads versus product packaging, and marketers still struggle to meet these expectations of a synchronous experience. Thankfully, technology is changing, enabling brands to increase speed-to-market through connectivity to support omnichannel experiences. Versions of packaging files are automatically saved and archived together in the digital asset management system when any changes are made. Marketers can find these same assets months later to send to their ad agency when the advertising component of the project begins. They confidently know they have the right version versus having new assets made or recreated. Connect the departments together inside your organization’s walls. If you want to quickly respond to changes in consumer tastes, you must move faster. Technology serves as the catalyst to responsiveness. All the departments that contribute to packaging development need to connect their efforts and interactions about content, process, assets and revisions to decrease lead time. Designers can easily create assets and send them to marketing and packaging without being lost in a pile of emails. Packaging engineers are alerted through workflows when a marketer changes a spec. Brands can evolve product packaging every two months to reflect changing consumer preferences. By launching frequent, small packaging changes rather than refreshing packaging once every three years, both relevance and consistency can be achieved. Connect your external agencies, packaging manufacturers, printers and converters, and even retail customers. There is so much time wasted in all the handoffs and quality checks within the value chain. Connection brings more transparency and faster decision making. Brand communication across the entire value chain should be centralized, accurate and fast. The brand R&D team creates new packaging concepts using virtualization tools built with downstream packaging manufacturing processes in mind. The brand’s packaging converter receives an alert through an automated workflow when the new packaging files are ready to print. Automated quality inspection software is used at various points in the value chain, such as automated proofreading early in the process, pre-flighting of print files in the middle, and print quality at the end. Connect technologies and systems to each other. By integrating packaging technologies, such as digital asset management, print quality management, and label and artwork management, it’s easy to see that the resulting reduction in clicks, versions and processes lead to an increase in productivity. If all contributors to the value chain use the same systems and said systems are integrated, it allows for more two-way communication. Brand marketers can update romance copy for their packaging, and it automatically flows through an approval workflow, onto the packaging artwork and into the next order to their packaging manufacturer—bypassing human touches in the middle. 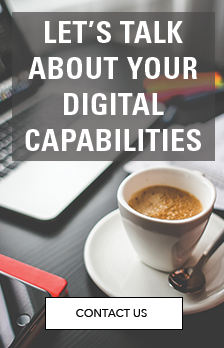 Because we are digitized, we’ve freed up capacity, allowing us to ramp up new product launches or rebrands without adding internal or external headcount. All this inter-connectivity within the packaging process allows you to eliminate waste in your process, saving time, money and frustration. Most importantly, brands establish a stronger connection between brand management and consumers.